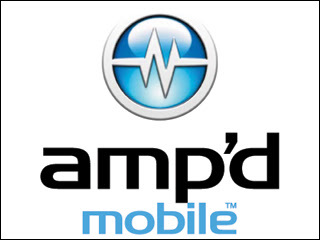 One down... Amp'd files for Chapter 11, citing the need for more time to ramp up its systems for demand. I wonder: shouldn't $360m in VC monies be enough to build systems that can cater for 200,000 customers? Given that Verizon provides the network and Motorola the handsets, that would mean that they took $1,800 per customer on all the rest; a bit stiff. Verizon is the biggest creditor with some $33m in receivables. So their wonderful ARPU wasn't that great after all, huh? It's a bit of a bleak outlook, and whilst the offloading of debt might work this time, it puts some serious question marks behind the model of MVNO Amp'd tried to implement, namely one that tries to build a full infrastructure other than the actual base stations. Now, the question is old: is this really necessary? It has failed often: they are not the first to stop. ESPN did it. Has anyone ever heard of Extreme Mobile again? To remind you: they had announced a Vodafone-powered MVNO in the UK... and the site still says "coming soon". Might perhaps be the call for a network provider that possesses some smart backend infrastructure allowing printing of customised invoices, sending of customised messages and provision of customised content be the way out? It would arguably be dramatically cheaper to have a network that rides on the back of a) a brand, b) retail distribution through the likes of Carphone Warehouse, BestBuy, MediaMarkt, FNAC, El Corte Ingles (depending on where you live) and c) "soft" customisation (i.e. through packaging rather than retail channel, etc). What would be in it for the Vodafones and Verizons of this world? Lower churn! It is hard to get to real numbers but lore has it that the cost of one Mannesmann D2 customer when Vodafone bought them was a whopping $7,800 and that with - allegedly - 30% or so churn p.a. Surely no customer can use their phones enough to make that money back, me thinks... If churn could be reduced by, say, half if customers would stick with the brand due to higher loyalty, then the supporting carriers would make a killing! Customers are way more loyal to the football club they support, their politicial party of choice, the National Trust, U2, their Almer Mater, their home town - you call it affinity marketing, a concept that has been a great success for years e.g. for credit cards. Wouldn't a combination of this make a lot of sense? The thing that killed the market so far is greed: everyone wanted to own the customer front to end - when all the customer really wanted was good service, etc and this fuzzy warm feeling. Get onto it. I believe it would work. Anyone here to try?